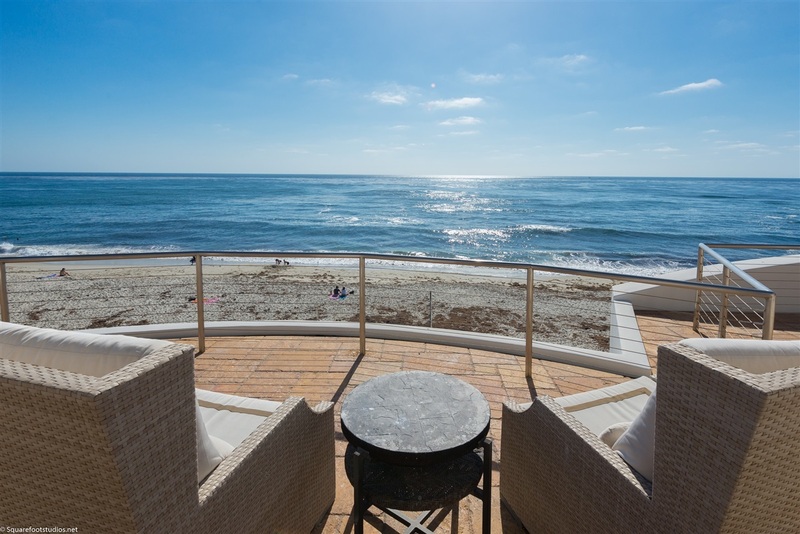 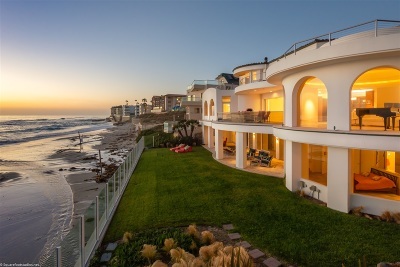 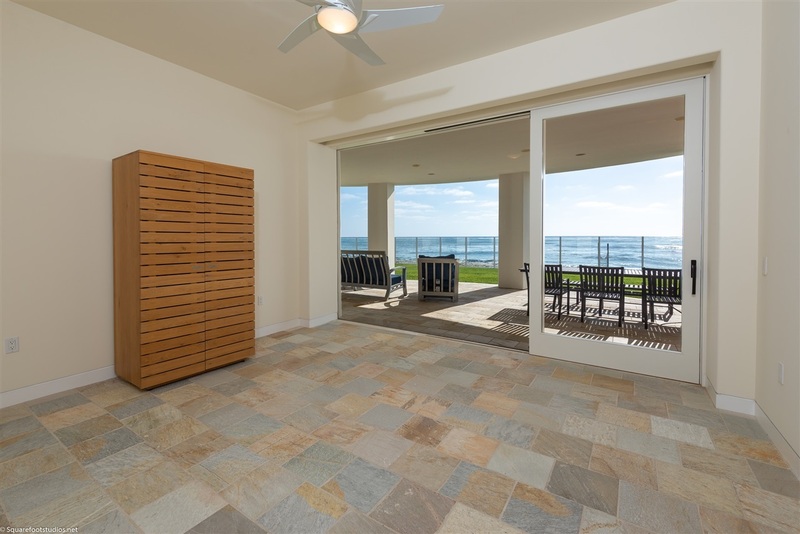 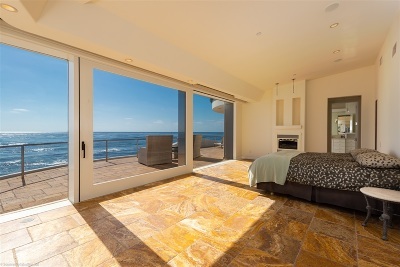 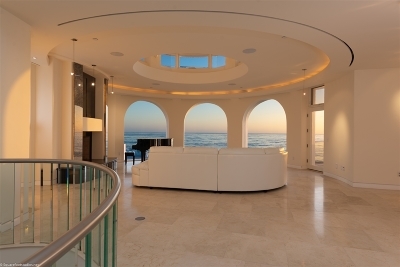 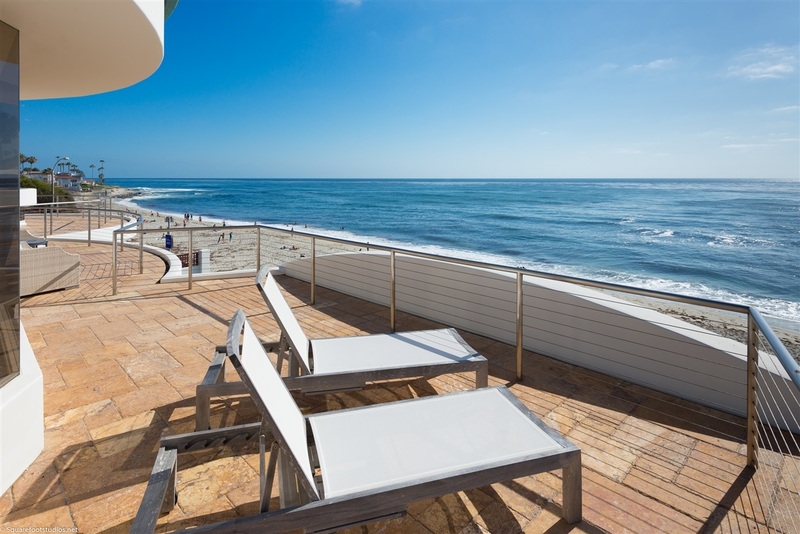 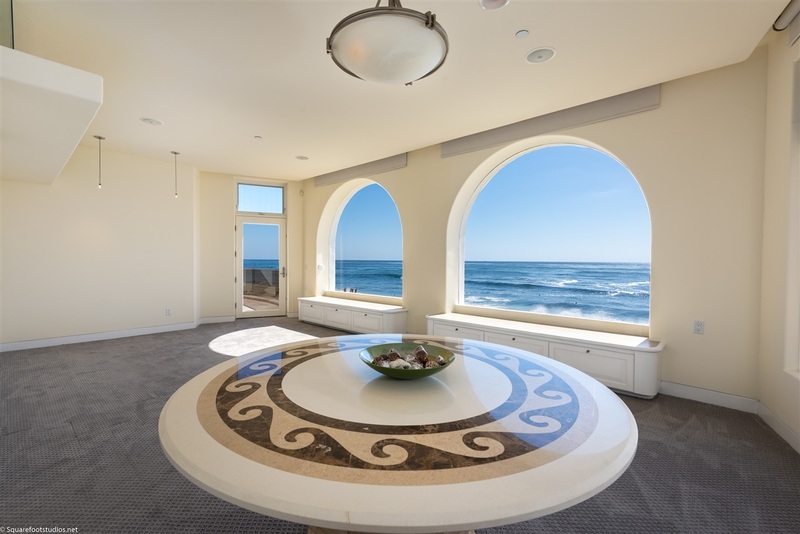 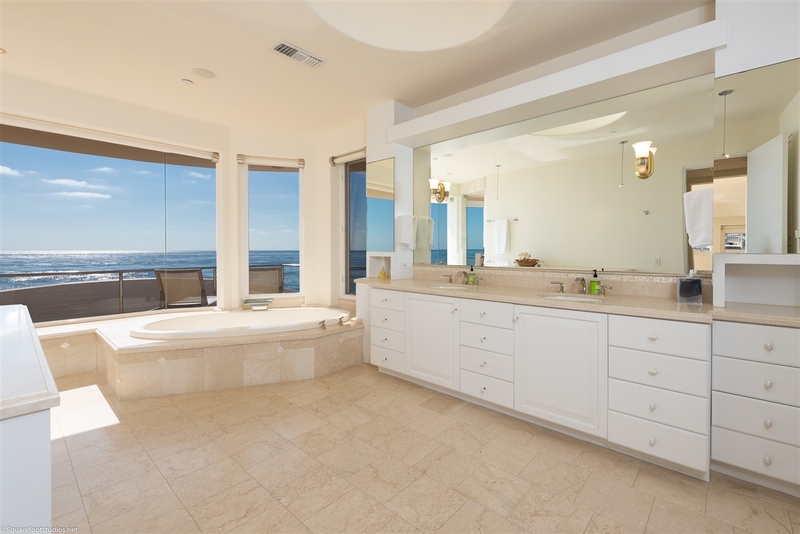 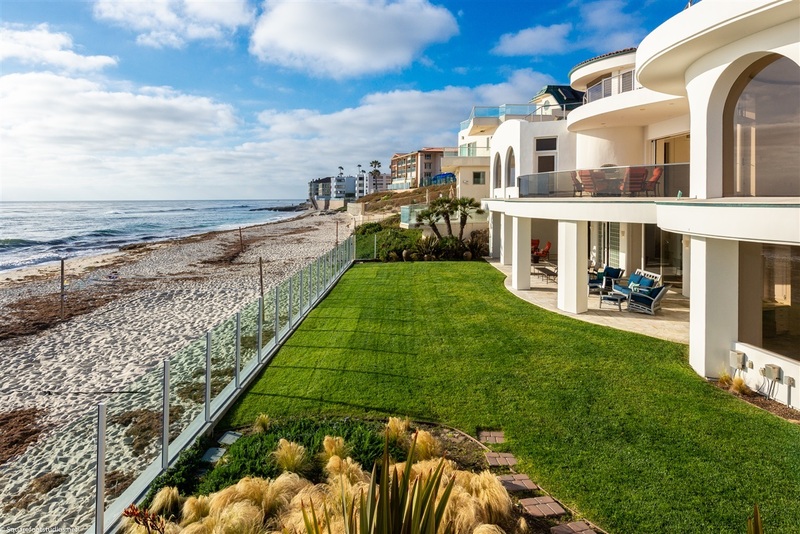 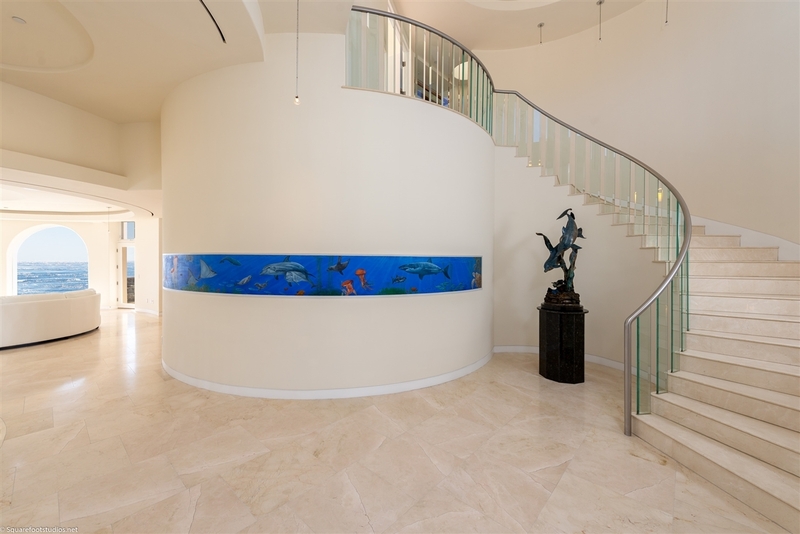 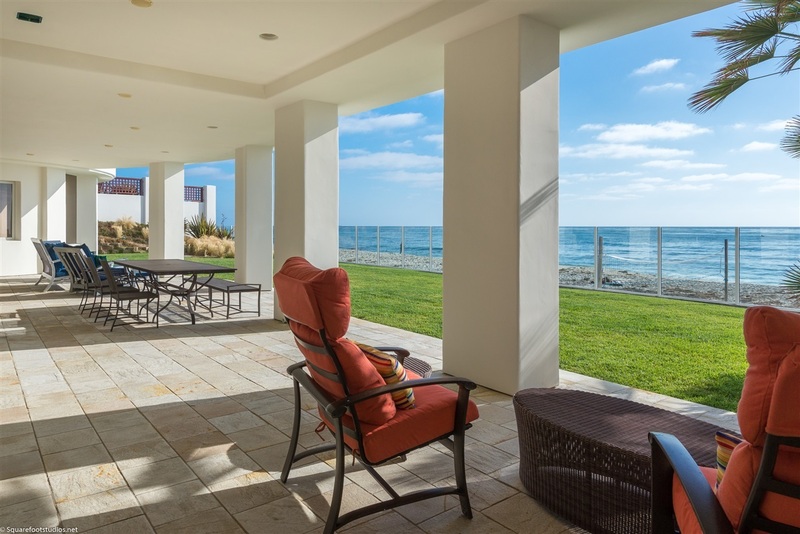 Inspired by coastal Mediterranean architecture and masterfully designed by the world-renowned architect Don Edson, this oceanfront La Jolla home perfectly captures phenomenal white water views and the essence of beach living. 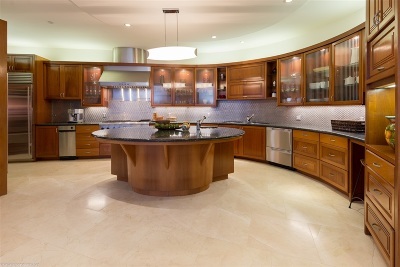 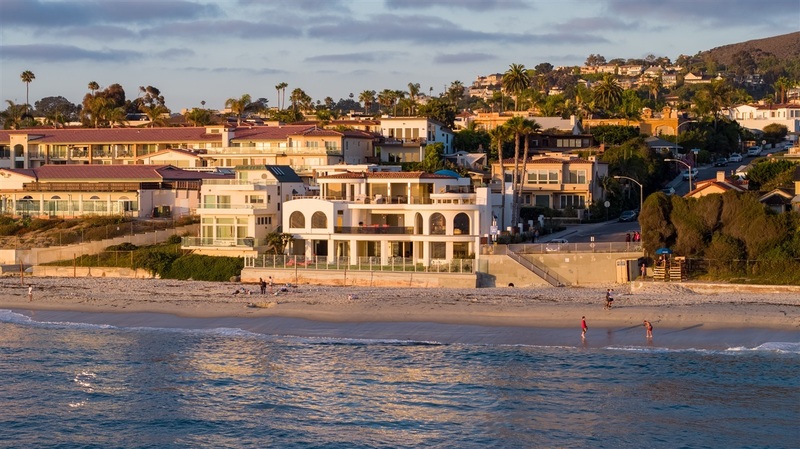 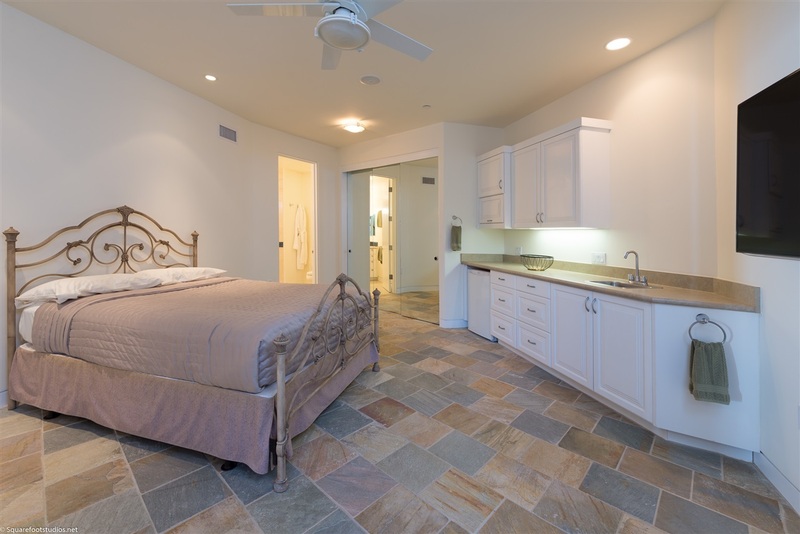 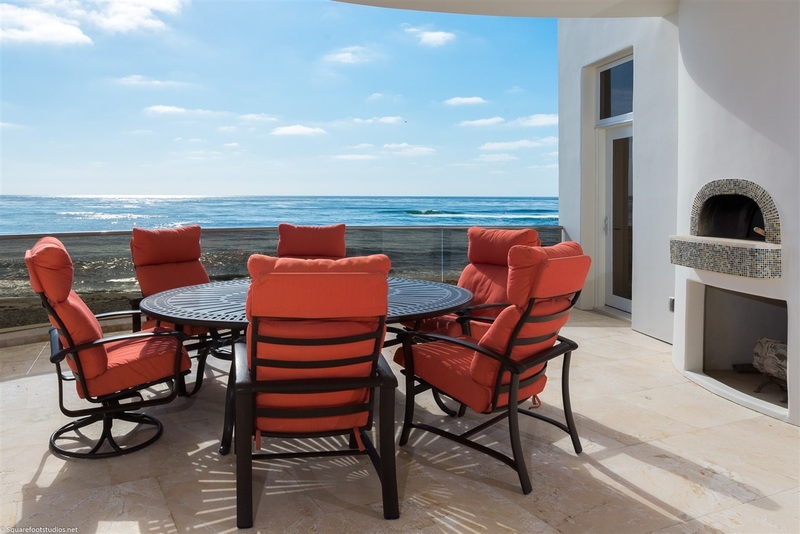 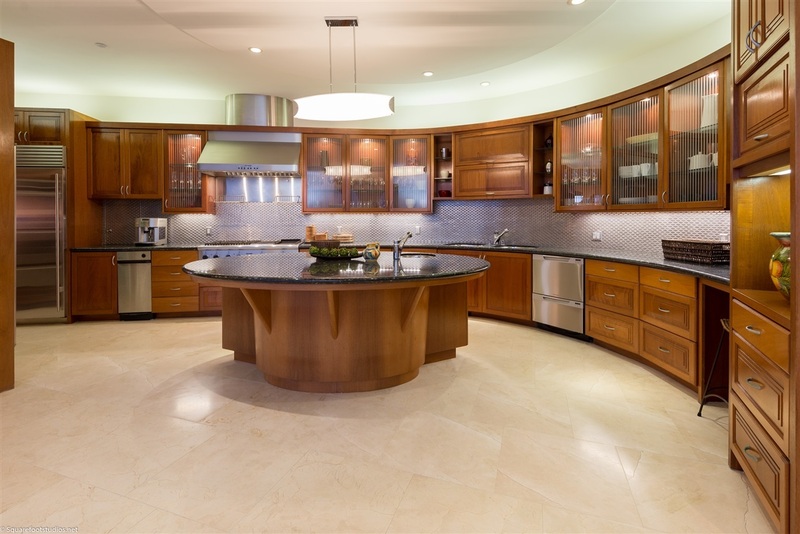 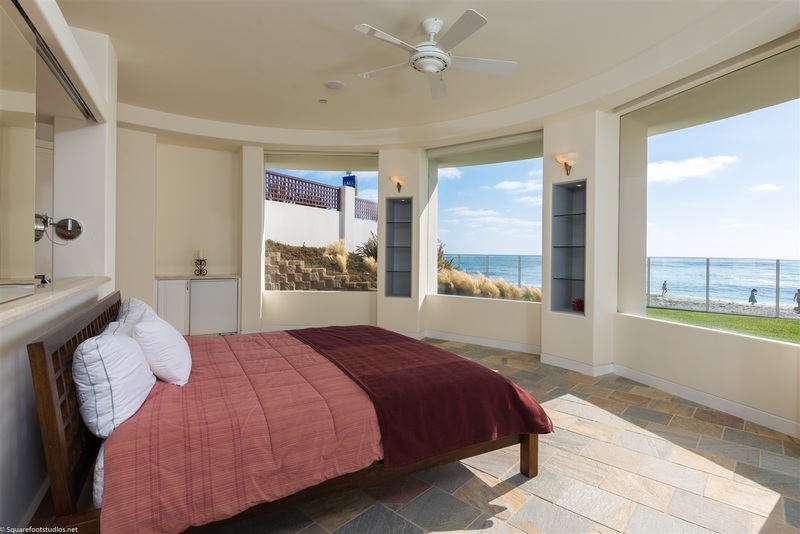 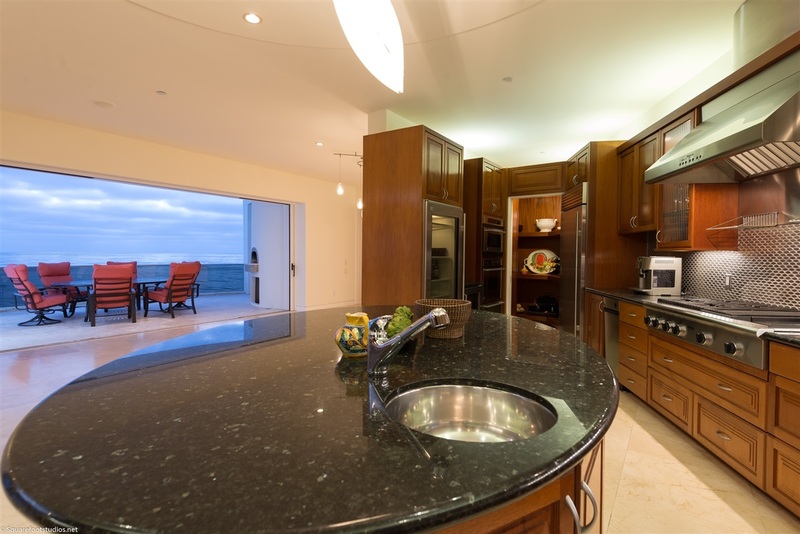 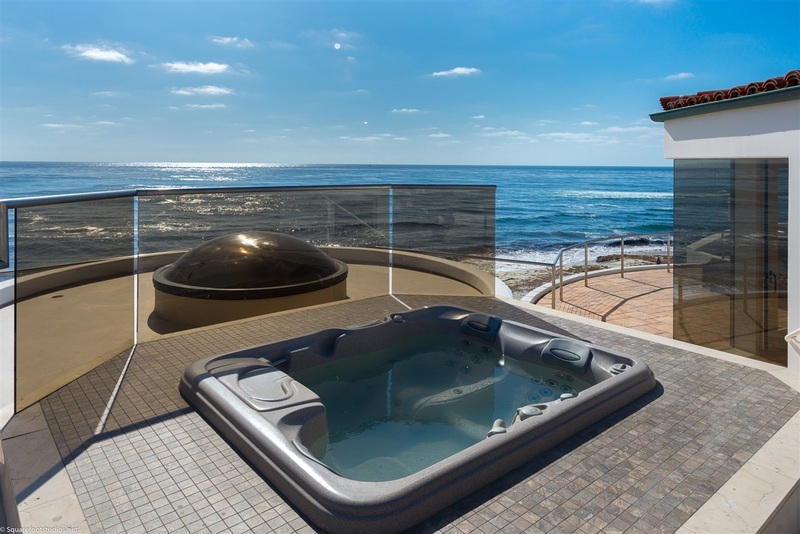 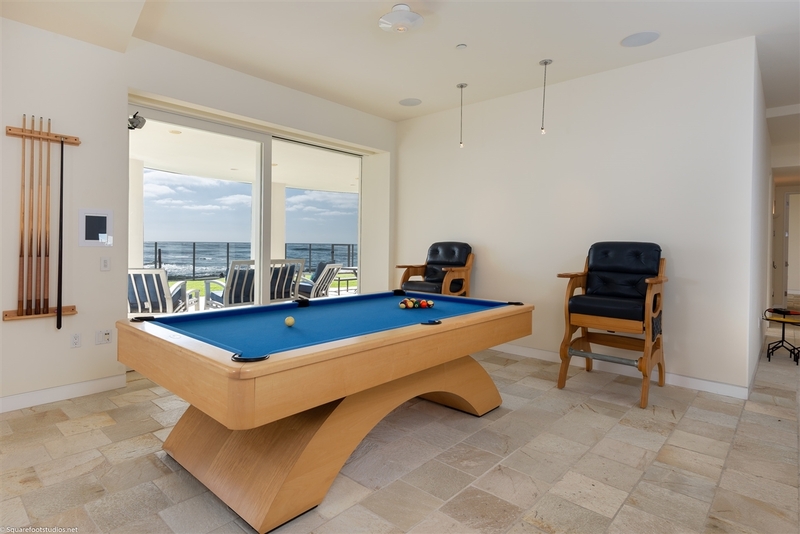 Sited prominently above La Jolla's best sandy beach, it offers an invigorating combination of fascinating entertaining spaces and comfortable, relaxing retreats. 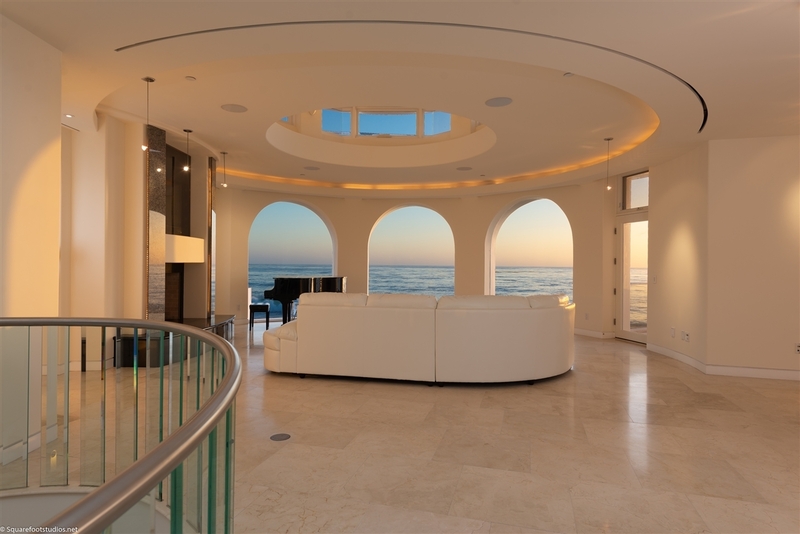 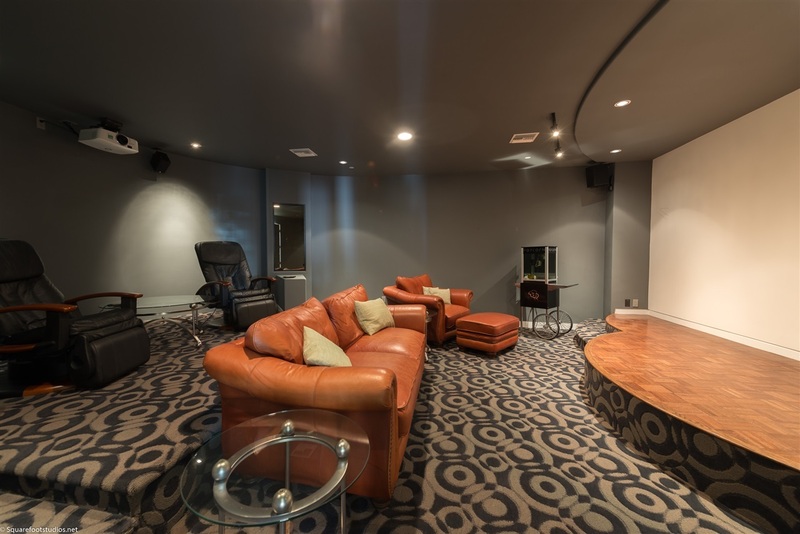 A captivating living room and open concept kitchen highlight the curvilinear design elements of the home., With luxurious features such as radiant heated flooring, a home theater, elevator, automated smart home controls, 4-car garage, rooftop spa and multiple indoor/outdoor spaces, many accessed through disappearing walls of glass, it is built to reward and refresh the senses of anyone fortunate enough to experience it.